A few days ago my parents arrived in America to spend a week with us on their way home from Europe. 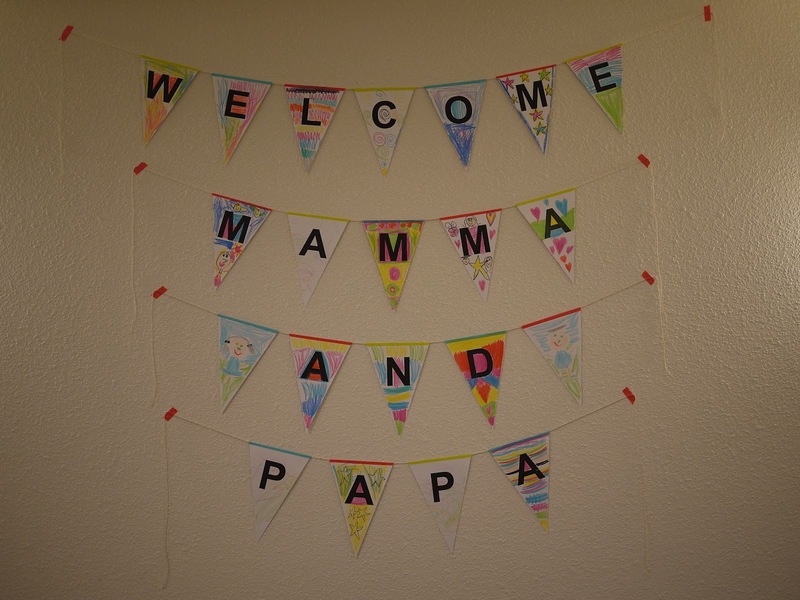 I thought it would be a nice surprise to have a few decorations ready to welcome Mamma and Papa when they arrived at our apartment in Berkeley. Ok, so I might have gone a little overboard but it was fun making the decorations and Mamma and Papa were certainly surprised! 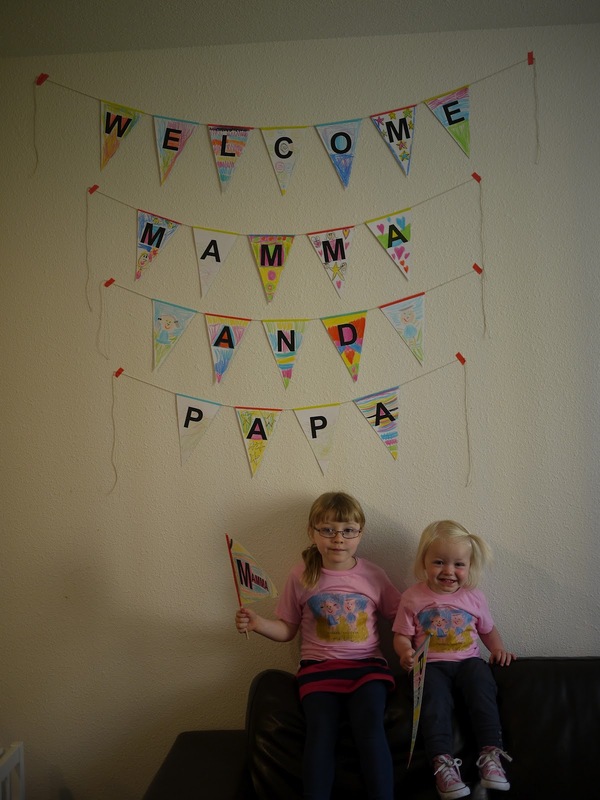 T-shirts, flags and bunting... yep, we went a little overboard! 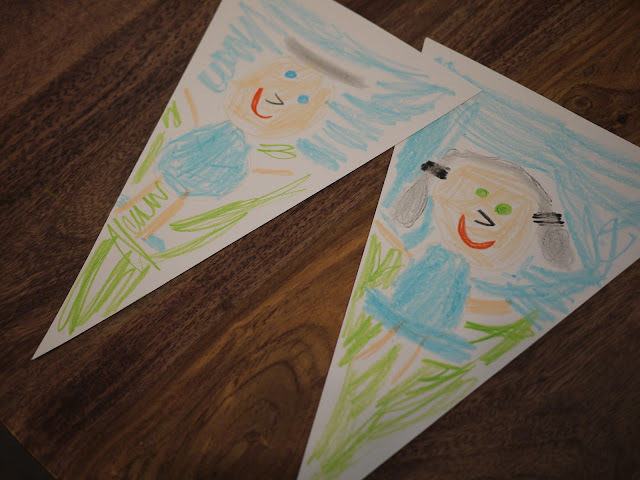 Ava and I made the bunting together. As usual I did all the boring stuff (printing out the flags, cutting them out and assembling them into bunting) and Ava did the fun stuff (colouring the flags and drawing pictures). Lola helped out a little with the colouring too. 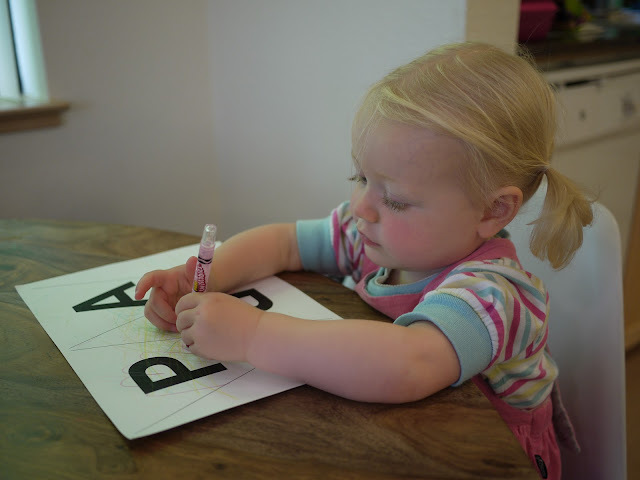 She loves to copy whatever her big sister is doing and is really getting into colouring and drawing. 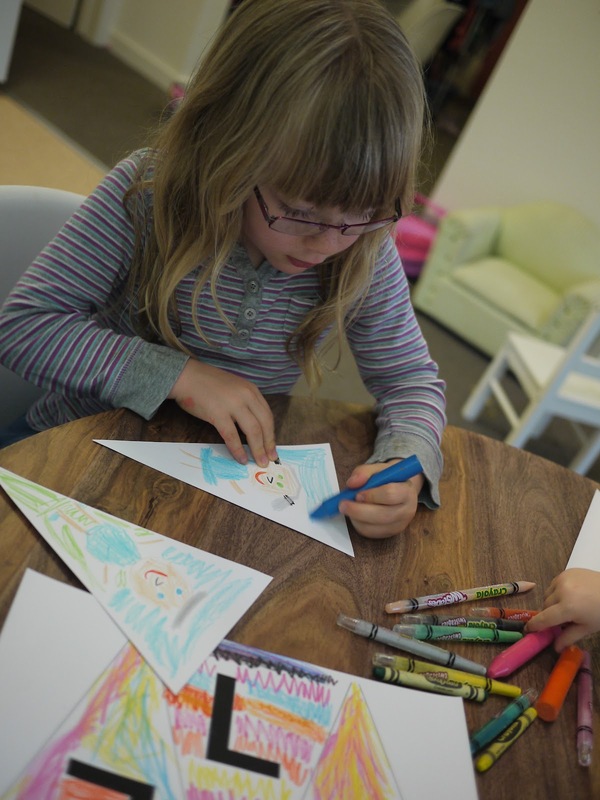 Once Ava had decorated all of the flags and I'd cut them all out I set about assembling them. I used cotton twine and colourful Japanese washi masking tape for this. Nice and simple. 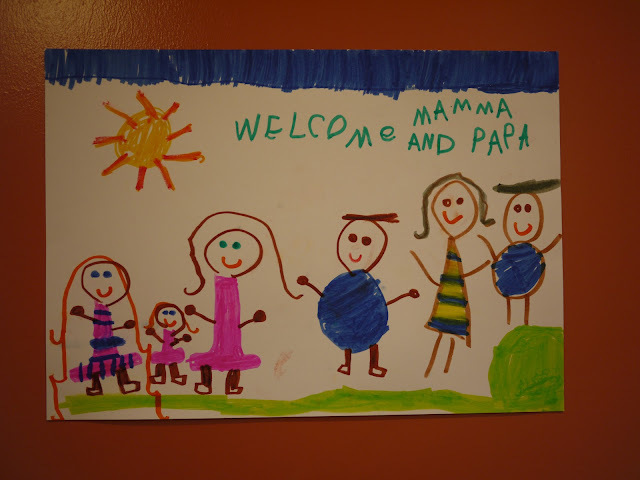 Ava also drew a welcome picture of us all to hang on our front door. I like how Mamma and Papa have switched heights! My favourite part of the welcome was the t-shirts that I made for the girls to wear. 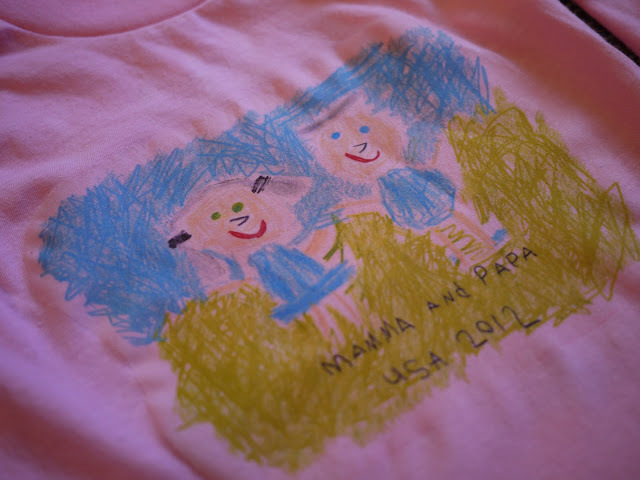 I took Ava's drawings of Mamma and Papa from the bunting flags and printed them on t-shirts with Ava's handwritten text: Mamma and Papa USA 2012. 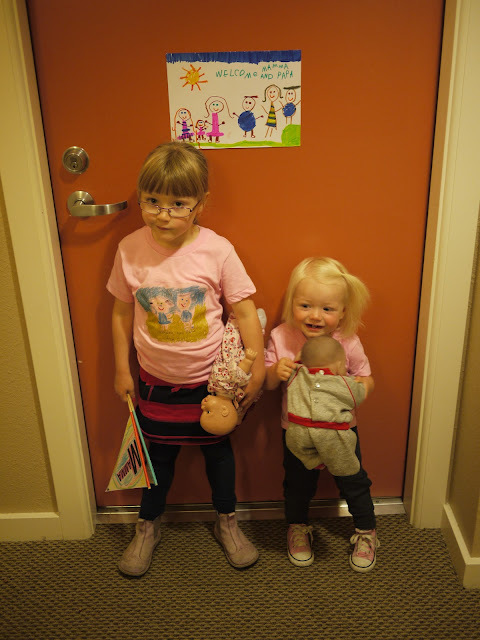 The girls love wearing their special t-shirts and they'll be wearing them as much as possible while we play tourist with Mamma and Papa. 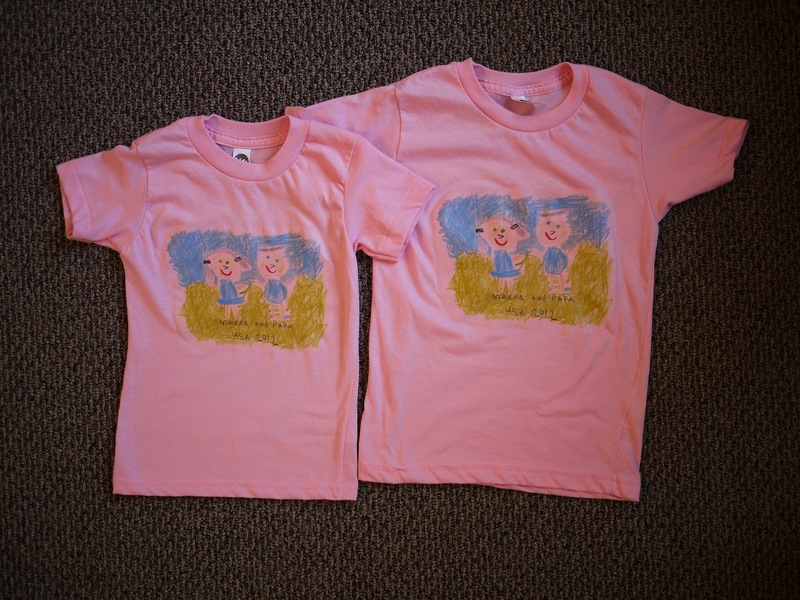 The official "Mamma and Papa USA 2012" tour t-shirt - available at all good souvenir stores! And last of all we made flags. Once again I printed, cut out and assembled the flags while Ava decorated them. 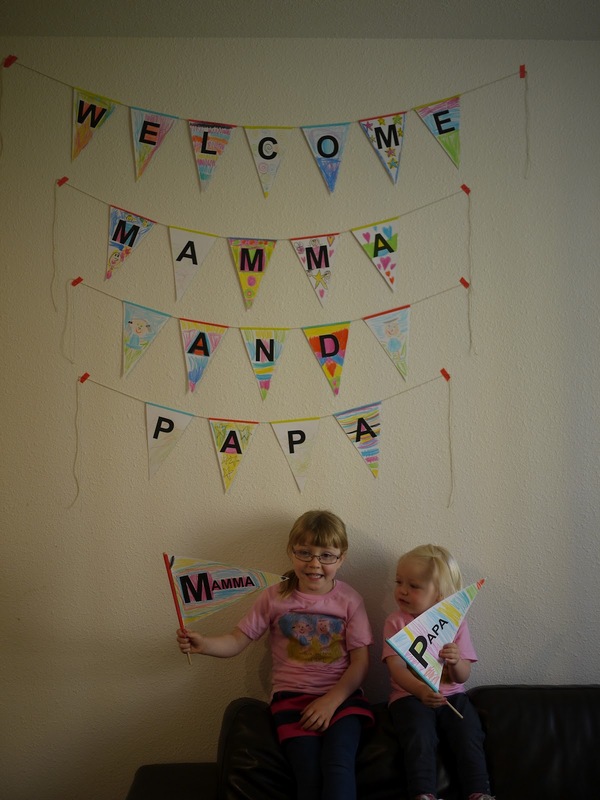 Ava held a "Mamma" flag and Lola waved a "Papa" flag.